Beth Grupsmith has been Managing Director of the Sports Business Education Network (SBEN) since it’s inception in September 2012. Created and funded by the McCormack Foundation, this non-profit organization carries on the tradition of Mark H. McCormack of connecting the sports industry and the classroom. 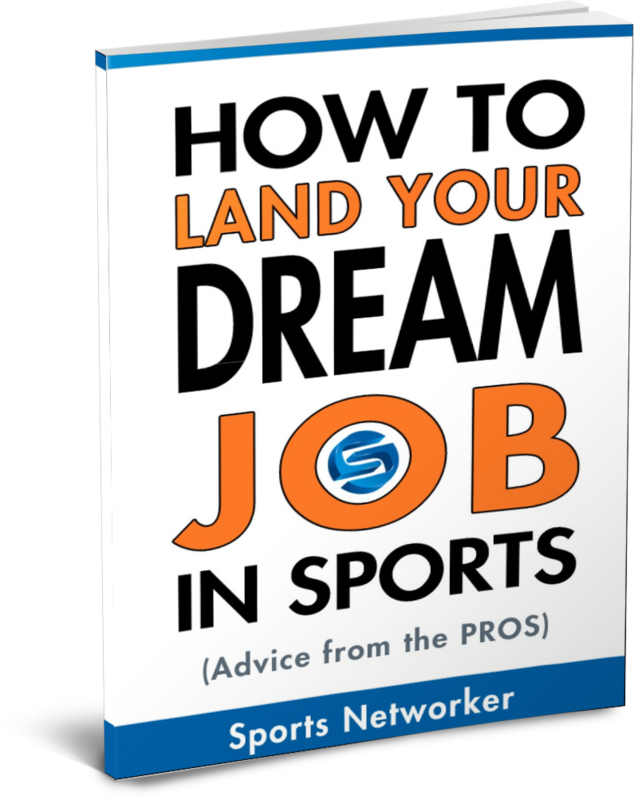 SBEN works with companies, universities and associations in the sports industry, who are staging events where experts are gathered to address an audience. From keynote addresses at a conference, to guest lectures at a University, to a corporate internship program, senior executives are often called on to share their wisdom. SBEN is designed to amplify those efforts by allowing audiences from around the world to tune in to live, multimedia coverage of those events. You can view the list of organizations SBEN has worked with on their website as well as through their network content HERE. Grupsmith holds a Bachelor’s of Business Administration and a Bachelor’s of Science from the University of Massachusetts Amherst. She is a current member on the Board of Directors for the Women in Sports and Events Boston Chapter and is the Social Media Coordinator for the Sport Marketing Association. What SBEN has already done, and where it hopes to be in the next 12-18 months? What projects and events SBEN has coming up? How did Beth Grupsmith get her start in Sports Business and what advice would she give to other people trying to get into sports business? Joshua: Hello everyone, welcome to sportsnetworker.com or sportsbusinessu.com depending on where you’re viewing this video. I have a very special guest with me today, Beth Grupsmith, the managing director of SBEN (Sports Business Education Network) Beth, thanks so much for joining me today. Beth: Thanks for having me Josh, I’m excited to be here. Joshua: Well I’m excited because I’ve been seeing you all over the internet. I’ve seen SBEN all over twitter, tweeting and retweeting different things. Also, participating in the different weekly twitter discussions. and I’ve seen them on livestream with almost 2000 followers. You’re the managing director of SBEN but it’s still pretty new. Tell me about how it got its start? Beth: I’m going to take you back 50+ years to 1960, when Mark H. McCormack became the first agent in the sports industry. Basically founded the sports industry…so when he signed Jack Nicklaus and Arnold Palmer, and created IMG. So fast forward to 2003, Mark McCormack has unfortunately passed away, and this is after IMG is established, he’s the founder of the industry, all of that. This left the family with what to do with IMG. So IMG was sold. The question became, what do we do with Mark McCormack’s archives? So the bid went out to a bunch of schools, and UMass Ahmerst became the school that is housing the McCormack archives. This happened while I was a student at Ahmerst, so I went to the induction ceremony, saw Mark H. McCormack’s children, and his widowed wife. So at UMass Ahmerst we have sports management, and we approached them with this idea of having live streaming organizations, conferences, basically speakers who sharing to an audience their wisdom in the sports industry. Due to certainl complications, this was not able to happen at UMass. So this summer it became a project for the McCormack foundation. Just to clarify some things, while the family does have the ties to IMG, even though they sold it, and though they have ties to UMass, SBEN is a McCormack Foundation project. Solely funded and created by the McCormack Foundation, so it is separate from those two other entities. And then this is where I came in, and we were able to officially launch SBEN in September. Joshua: I appreciate you clearing that up because there are a lot of different organizations involved so it’s nice to know who the players are. Can you tell us a little more about SBEN, what their goals are, and who they are? Beth: SBEN is a nonprofit organization. We livestream as I just mentioned. We work with LiveStream. Let me talk about that briefly. It’s LiveStream.com, great organization, and their CEO, Mark HayHott, actually worked with Mark H. McCormack. So he’s doing a favor for us, and we’re partners in this sort of thing. So we use their platform to get our content out there. I didn’t know about LiveStream before I started, and it was a great way to learn in the industry, and move forward, and I love the tool. It’s great. So I reached out to different organizations, students, speakers series, anything that’s in the industry. To see if they’re bringing in a panel, a conference, an executive, to share their wisdom, talk to students, talk to an audience and let them know what’s going on. So what I try and do is: A lot of students don’t know about these organizations. A year ago I was a student and I had no idea about half of these things. And now there’s a lot more I know than I even did six months ago. We’re also helping to market these organizations. We want to help spread their word. We want to be that extra facilitator. So that’s where we are right now. Joshua: Well I know that one of the first events that you LiveStreamed was the Ivy Sports Symposium which was a great event and was actually where I first met you. And I know that if I hadn’t gotten the opportunity to go, I would have been able to watch it on Live Stream, and I did have some friends who watched it through Live Stream and SBEN. It’s a great opportunity to be able to attend those conferences that you either can’t fly out to or afford. Beth: Right, and a lot of people I reach out to are concerned about their registration. They say what about our registration, what about our attendance. We will promote your attendance through SBEN. 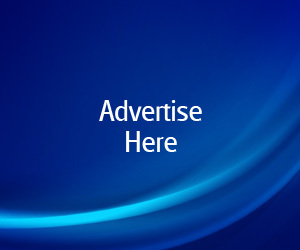 We will promote you so you will have that attendance number. But what we’re trying to do is double that attendance through the live views. What you don’t get watching via Live Stream is the networking. And I highly recommend networking. Nothing replaces that. So this is a great way just to learn if you can’t make it. Especially if you’re a student and you can’t afford it, a lot of these conferences are really expensive, and some schools can’t afford to fund it so it’s out of pocket expenses, and when you have loans you can’t really afford to go. Joshua: I can certainly understand that. So my next question is related to partnerships. Because to work with all of these different conferences, you have to create relationships with them, and create great partnerships with them, so talk about the partnerships that you have right now with different organizations and how these partnerships are a part of SBEN’s vision. Beth: With SBEN we’re not really trying to promote SBEN itself. We’re trying to promote the organizations. We’re trying to get the organizations out there. Which is the main selling point for working with us. So my first real relationship was with the Sports Marketing Association. I went down to their conference in Orlando in October, and it was really my beta testing time. Learning more about LiveStream and learning more about the industry. A bunch of different people I talked to beforehand kept saying go down to Sports Marketing Association, so I said “Alright I’ll go”. I met a bunch of faculty members. So it was a great reach in the sense that I could go, reach them, reach their students, and they could learn about other conferences. So besides that, I’ve created a great relationship with WISE Boston, we stream their events, I’ve also created relationships with UMass, Indiana, Michigan. We have the Michigan conference, we had their stream up there. UMass had a panel series at their career fair, their stream was up there. Southern New Hampshire University, their speaker series, they have another stream coming up in a few weeks. They had one, it was our last stream of 2012, Joshua Mill came in to speak. By the way, if you haven’t gotten a chance to watch that, go watch it! It’s great career advice. So these partnerships are SBEN. If we didn’t have them, we wouldn’t have anything. So I try to create any partnership I can. So I’m trying to get your name out there, and get you members, and hopefully build your conference attendance, build your attendance on online viewership. So it’s basically without these partnerships we wouldn’t be anything. So here we are. Joshua: Well it’s exciting because it really is a win for everyone. Because the students that can’t attend the conference can just get it online, and the conference is getting people who wouldn’t have been able to come anyway. And you guys are able to advertise both of them and be able to grow your business as well. So really everyone is helping each other, so it’s a good mix so far. You mentioned some of the conferences you’ve already done, talk about what SBEN has already done, then where you hope to be in 12-18 months. You mentioned October, which was just a couple months ago, so less than six months ago, where do you hope to be in a year/year and a half. Beth: Our main goal, which I’m really hoping will be done in a year/year and a half, is we become the SBJ of content. How SBJ does the news the updates, we want to provide you the content. The way we’re working, I don’t see why we can’t get there. We already have 2000 followers on livestream, and that basically happened in just a month (now is over 5000). Now with all these new initiatives we’re promoting, which hopefully we’ll get to in a minute. So we will be there in the 12-18 months. That content provider like SBJ. So some organizations we’re working, Sports Management Worldwide, we’re trying to get down to Indianapolis next month for the combine. They have some cool stuff going on there. WISE DC, they just had a philanthropy panel, we’re trying to get that content up on our site. Illinois State University has their symposium coming up, Tulane has a Baseball Arbitration competition and their symposium coming up, SINC Conference has a shark tank and great networking conference which we’ll the opportunity to be there, and we’re going to help them promote next year’s conference as well. Fordham has a sports symposium in April. There’s SEMI 2013 coming up. There’s WISE Syracuse coming up. There’s always something coming up. So hopefully if there’s something we’ll have it. There’s a whole list, I can’t think of everything off the top of my head, but if there’s something coming up, we’re looking to be there. Our schedule is full at least every other weekend for the next three months. Joshua: Well you mentioned the different conferences coming up, what’s the best way to find out about which Livestream events are coming up, and stay updated on which conferences are coming up. Beth: We have a big social media presence. We like to tweet about everything coming up. We like to retweet all conferences. We like to follow them on twitter so we get the latest information. A lot of other things we do, we follow different sports blogs. So we follow Sports Networker, sports business exchange… There’s usually a conference section on every blog. So something that we’re trying to do, is create our own website which will have a calendar list of all the events we’re streaming, as well as evetns the organizations that we work with that we may not be able to stream like the MIT Sloan Analytics conference. That’s not one that’s coming up in March. We may not be able to stream that, because of their relationship with ESPN, also the SBJ/IMG conference is coming up in April, we’re trying to work with them, see what can be done there. Joshua: That’s exciting. It’s mindblowing how many difference conferences there are…how many are coming up. I didn’t realize until I was looking at your calendar, how many conferences there are, they really seem to be happening weekly. So it’s exciting because there really is a lot of content for you guys to be streaming. Joshua: Well one question I’m sure a lot of our viewers are wondering is, how do you get around to all of these conferences? We just mentioned they’re happening all over the US and Canada, so how are you doing that? Or is that the way that it works? Beth: Well how it’s supposed to work is, we’re just supposed to be the facilitator. If I can get to the conference, or my team can get to the conference, then we’ll be able to go. However, because we’re non-profit, and we don’t really have that much money, we’re completely funded by the McCormick Foundation, we don’t have money for travel expenses. One thing I should mention, is we’re entirely cost-free. So we don’t ask our organizations to give us money for our services. Livestream is entirely free, nobody has to pay for anything. 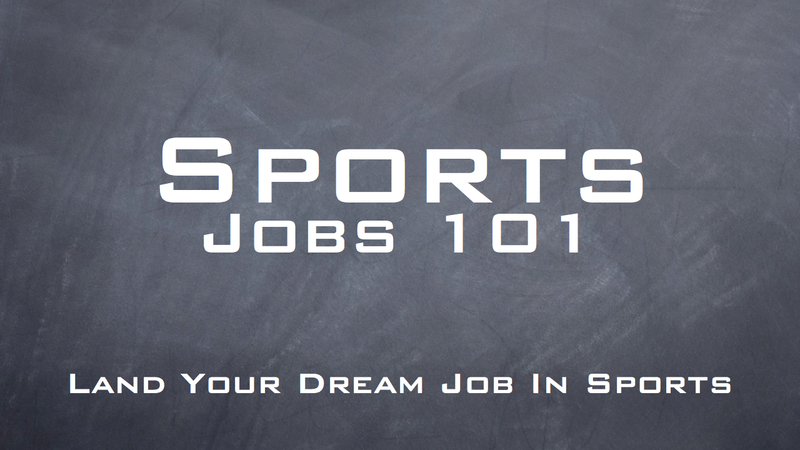 So that’s the beauty about Sports Business Education Network. It costs a lot of money to go to these conferences and to have the equipment. If it’s in the area, specifically in the North East, I’m able to get to that conference, if it’s readily accessible, but I might not have the equipment. So we ask that the conference provide the equipment for us, we do recommend HD cameras because it’s best quality, but if they don’t have it, it’s their stream. This is how the organization is promoted, so it’s their choice. We’re just trying to get it out there, and we will do the best we can. So we like the organization to provide the equipment, and to do the production if they can. But luckily with all these different conferences, myself and my team, someone is in the area. It’s great. So the way it works out right now, is one of us can go. But other times we can’t, so Illinois State University, that symposium is coming up. It is actually the same day as SINC. I will actually be down in DC for SINC, so will one of my colleagues, but for Illinois State Symposium, I’ve already reached out to them, we’ve been talking, they have the equipment, they have a production team, students would love tog et involved with this, so it’s great. It’s a chance for students to learn how do I use Livestream, this is how it works. So we’re still in the middle of seeing, what livestream products do we want. There’s a whole lot when it comes to the production side. You have an HDMI Camera. You need the Livestream Producer to get the feed onto Livestream which is our platform. So you need a transmitter for the HDMI camera, to the laptop. Livestream just announced a new product, Verizon brought LTE broadcaster. So you get the 4G LTE. So it’s great! Do we want to purchase that product? We don’t know yet. So a little off track, but it all goes back to the same thing, if we can get there we want to get there, but it’s not necessary. If we have the production equipment and you don’t, we can send it out to you, but we wish that you have the production equipment, and you do it, we’ll just help facilitate. We’ll be on call if you need help, have any questions. We’ll send you user guides, tool kits, everything to make sure everything runs smoothly. Joshua: That’s encouraging. It’s a reasonable request considering all the promotion that you’re doing for them using your social media presence, and your blog, and your connections to try and publicize their conference, it’s nice that you don’t have to be every in the world at once and you can just facilitate it. That’s encouraging for the people running these events. What other projects or events do you have coming up in the near future. Beth: Well not to be redundant, but I listed those events already. But we do have some new exciting initiatives. We’re creating an ambassador program because like you had mentioned, we can’t be everywhere in the world at once. So the best way to reach out to universities and colleges, and make sure everyone gets involved, is through an ambassador program. So we’re starting with 17 different universities, and myself and my team are in the midst of reaching out to different connections we have at those universities. So we’re asking our ambassador to be our main connection between SBEN and the university. What this will entail is letting the campus and the sports management program know about SBEN. Maybe host some viewing parties, so everyone can watch the streams at certain times. By the way, all the streams are archived and still on the site. That is a huge thing. It’s not just the live aspect of it. And then, we want to know what content is going on campus. So if someone has a speaker coming in, or they’ve got a panel, let’s put it up on the network so everyone else can see what you guys are doing. But it’s not just a one way street. We want your ideas, we want to know what’s going on. You’re our target audience, so what do you want to see on this, what do you think will work, what conferences do you think we should have a presence at, what content is not what students want to see. So that’s something that goes one, we’re going to take pride in that. I’m really excited for it. I want to get these new ideas so I’m not burning out. Then also, something I’m very excited for, in the February we’re looking to launch at new program. This will be our own channel basically, since everything before we have to reach out to organizations for speakers first, this will be called Live at your Desk. So one night a week, so as to not conflict with other twitter chats, hangouts, we’re going to have an executive come on, through the live stream program. Skyping in a sense, although it’s not through skype. We’ll make it interactive. They share their wisdom, they talk about how they got in the industry, their story, their background, and we’re going to use the hashtag #askLAYD on twitter, so anyone can come ask a question. So you can get a shoutout from that person. So say @SBEN_Live how did you break into the industry? #askLAYD. Or what can I do? So we’re going to promote that. And hopefully, we’re going to make them themed. So we’re going to work with that. So I have a great relationship with the founders of sportsjobchat, they were my classmates. So I’ll talk about that. Maybe they’ll come on, and talk about how they got into the industry, what they learned, and talka bout Sportsjobchat. And that would follow a sportsjobchat on a Monday night. Then also, in April, I know WISE Boston has their anniversary event. So whoever their keynote speaker is, we’re going to ask them to come on and speak about anything from them that they want to touch on. So they’ll be different themes and it’ll be based around the different organizations that we work with. Joshua: The exciting thing for me is, listening to this new initiative, there’s a lot of different twitter chats with executives, but you never actually get to see the person. You just see the little response from them. So that would be really cool to be able to see them actually at their desk, through the program video chatting, so they see @joshualagan how did you get into Sports Business? It’ll add a whole new dynamic to the discussion, it’ll be a lot more involved. I’m definitely excited to see that coming up. When will the first one come out? Do you have a date for that yet? Beth: We don’t have a date yet, but I have reached out to a potential speaker. I don’t want to give it away just yet though. So we’ll see what happens. We’ll go from there and then I really just want to speak to my team a little more, what they think and get their input. And also, I’d also like everyone else’s input. Anyone who’s watching, if there’s something you guys want to see done. Anybody that you want to see or hear from, let us know @sbenlive, I’m sorry @sben_live on Twitter. Definitely give us a shout out. I want to make this something that’s not redundant and the same as an other thing out there. So, if there is a way that we can segregate ourselves, let us know! We’re open to suggestions, we want to hear from you. This is for you! So, give us a shout out! Josh: Yeah, we’ll definitely be checking out the Twitter and stuff to see the speaker when it is revealed and figure out who we want to hear from. Cause like you keep saying, this is for us. So the opportunity to build this together it only helps us. It’s an exciting opportunity. So we’ve spoke on SBEN, I think we have a pretty good idea of the organization and what to kind of do with it. But briefly, how did you get your start in sports business Beth? Tell us a little bit about yourself and what advice you’d give to young sports business professionals. Beth: So, I got my start actually, I just graduated from UMass Amherst in May and I was a sport management major. So I would say, first thing I learned 4 and a half years ago in my intro to sport management class, and if my classmates are watching they’ll laugh, it was drilled in our heads to network, network, network. We were all scared almost. Go out and get the book “Good to Great” and then go network. First thing I did was I just wanted to get involved. I wanted to get those internships; I wanted to get my hand in the business, especially because I’m a hands on learner. So I interned at a few different organizations. My senior year I worked with the NASCAR Kinetics program and the biggest thing for me which actually landed me this position with SBEN was working with the Supercuts SoccerFest 2012 at UMass. It’s the experiential learning class. it was the best experience I could have ever had. It was the reason why I actually went into sport management, why I went to UMass. It was phenomenal, it was our 10thyear, I made some great friends out of it and I really learned a lot from there. So my start was at school, I learned, and I pushed for it. Now the best advice I can have is network and use social media to the fullest. I will be the first person to tell you how much I despised Twitter. Everything changed in August. My friends were laughing at me saying, “how did I never use this? It’s the most amazing marketing tool ever.” And it’s how I met a ton of different people, so, it’s great! Josh: So network and Twitter. Two valuable things, and they tell us that a lot in school. So Beth, thank you so much for your time today. It’s really exciting to hear about all the different things that SBEN is doing and the direction they’re heading. It seems like it’s going to be a great opportunity for college, young sports business professionals to learn a lot and to get involved with the Ambassador Program. And maybe helping live stream some of the events by helping set up some of the cameras or whatever. I appreciate again you being on and I’m excited to see what the future holds for SBEN. Beth: Thanks for having me Josh! It’s great and I’m glad everybody can learn about SBEN as we’re just trying to share Mark H. McCormack’s dream of bringing the industry to the classroom and if anybody out there wants their panel or conference or their anything streamed on SBEN just give us a shout out! Josh: So last reminder, everyone go check out SBEN on Twitter and feel free to give them your ideas about different speakers or different events coming up. This is for us so lets make it as great as we can! Thanks everyone for watching. hello!,I love your writing very a lot! proportion we be in contact extra about your article on AOL? I need a specialist in this area to resolve my problem. Maay be that is you! It’s actually a cool and useful piece of information. I’m satisfied that you simply shared this helpful info with us. Very Informative & Interesting article. I really enjoyed reading it.